The recent article I wrote for Forbes is perhaps the most important one I've written. It is about a trend that is sweeping the trading world. Yes, we talk about algos and quantitative trading, factor-based investing, and passive index strategies and all of those are helping to reshape the landscape of finance. The broader revolution, however, is one in which financial decisions are evidence-based. Those who assume the responsibility for achieving returns on capital are expected to do so in a way that is objectively verifiable. As the Forbes article points out, this mirrors developments in medicine. The clinical judgment of the wise, experienced doctor is no longer enough. Too many studies document the fallibility of such judgment. Instead, physicians are expected to follow "best practice" guidelines that follow from well-conducted outcome research. 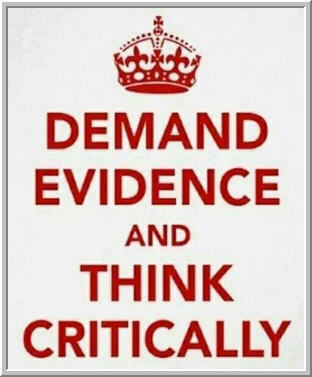 We are rapidly approaching a point at which the alternative to evidence-based medicine is not discretionary medicine, but malpractice. If you read old texts on technical analysis, you'll encounter generalizations such as "this is a bullish pattern". No actual evidence is produced to document this. It is the "clinical judgment" of the practitioner. Similarly, a fundamental analyst might assert that the price of a stock or index will rise because of increasing consumer spending or a growing GDP. Once again, no evidence is provided for those links. The alternative to technical analysis is not fundamental analysis. The alternative to technical and fundamental analysis is evidence-based decision-making. Think of it this way: the emerging perspective says that if less research rigor goes into your trading and investment decisions than your decision to buy a new car, something is very wrong. So how can discretionary traders become more evidence-based? It starts with what Victor Niederhoffer calls "counting". When we see a pattern that we believe has some implications for non-random forward returns, we look back in time and see if that pattern indeed has led to those anticipated results. Cherry-picked examples supporting our inference does not constitute an evidence-basis. Rather, we look back over a meaningful sample and count the times when the pattern has and has not led to expected returns. Mike Bellafiore's text The Playbook is a great example of nudging traders in an evidence-based direction. When a daytrader identifies a "setup" for an anticipated market move, that setup becomes part of a playbook and the trader tracks his or her simulated (and then actual) trading of that setup. Only setups that empirically demonstrate profitability become an enduring part of one's playbook. The professional trader is one who sticks to their playbook and tests out new plays before adding them to the playbook. Once a trader begins to count, the development of many skills follows: data management skills with spreadsheets; statistical skills to determine when returns are truly significant; and programming skills to acquire and transform large data sets. With the advent of online education through such sites as Coursera, it is easier than ever to upgrade one's skills. At most of the firms where I consult as a trading coach, there has been a movement toward the development of team-based trading to bring those skills to discretionary traders. If you are a developing trader, I encourage you to check out the article on the evidence-based revolution and reflect upon how you will be part of the future of finance and not one trapped in its past. There still is a role for intuition, pattern recognition, and judgment in the world of medicine, and there will be that role in trading. Those subjective hunches are the sources of hypotheses, however, not conclusions. Great things can happen when we are fertile in our generation of hypotheses and rigorous in our establishment of conclusions.